Stop Repossession – What Can I Do To Prevent A Repossession Order? Do you want to stop repossession? Are you in a position to be able to do so? Before you start to panic about the ‘what ifs’, the best initial advice we can offer is this: stop, think – and inform yourself. There are various options available to the home owner that has fallen behind with their mortgage repayments – and consequently find themselves in danger of an impending house repossession order. The first thing you need to do is to meet the problem head on. There is absolutely nothing to be gained from ignoring the problem – and everything to lose. There is no shame in finding your financial situation lacking the good health it may have previously enjoyed – there are thousands and thousands of others experiencing the exact same problem at any one time. The mortgage lenders are used to it, the banks are used to it, the advice and guidance counsellors are used to it – and there are ways and means available to you that may help prevent the loss of your home. The above three are all based on specific criteria and the best forward is to fully explore what each one is – and who can access it. Are you eligible? Is the help available in your area? If you’re entitled to access the help – is it appropriate for your needs? These are just a few of the questions you need to ask yourself before you find yourself bogged down with reams of useless information or, worse – missing out on the right advice, the right facts and ultimately missing out on a key source of assistance. The links are listed below and all the advice you’ll find detailed on each website is clearly set out and free of confusing jargon. If you do find that no matter how simple it all sounds, you’re still confused, you’re next best option is to enlist the help of a professional counsellor. Every town has a Citizens Advice Bureau, others have region based charitable organisations available – in short there are ways and means of sourcing free advice from those that work closely with others in the same situation, and those that are connected both with and behind house repossessions. What Are Your Rights About Being Repossessed? Despite finding yourself in a poor financial situation – do you know what your rights are about being repossessed? If the answer is no – then the following information will prove useful to know. Step One: Your mortgage lender will contact you in writing as a means of addressing the shortfall in your mortgage payments. 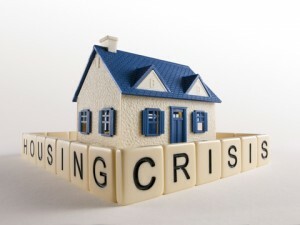 This is the best time to act in order to secure an effective mortgage rescue remedy. Step Two: Notice of Intended Prosecution. This is a letter that informs you of your lender’s intention to seek legal redress. This will only be sent if you A) fail to respond to their initial contact or B) don’t come to a satisfactory agreement. Again, this is another chance for you to negotiate in order to bring your account back to rights. Step Three: Possession Order. You won’t jump from Step Two to this right away – what you will get is a notice from the local court that informs you of your lenders intentions and the date set for the hearing. This is your third chance to address you mortgage issue. The paperwork will include a form for you to complete that relates to your current position – finances and so on. This is also a good time to inform the courts if you’re about to complete on the sale of your home. Closer to the date of the hearing, you will also receive an Affidavit – which relates to what you owe, the interest rates, the lenders full details, the specifics of your repayment plan. Step Four: At this stage – you’re at the hearing. It will involve (usually) the Judge, yourselves (and any legal representative you may be using), your lender and their legal representative. Again this is a stage whereby you can propose an agreeable mortgage rescue plan and stop repossession. Step Five: As a rule, the court will adjourn, usually for a four week period. This gives you a four week delay on the actual decision. Use the time to try and sell your home. Sounds impossible but there are ways and means of selling your home asap. Or – if you’re in the process of selling, the adjournment may be enough of a time span for you to close the deal/sale. Step Six: If you have proposed an satisfactory mortgage rescue plan of action, you may now find that the courts suspends repossession, pending your bringing the arrears up to date. Providing you comply fully, you’re home will not go on to become repossessed. However, if you default on the payments the court will set a date for the Possession Order to be carried out. Once this stage has been reached, you will receive a date to vacate your home. If you refuse, the lenders then have the right to apply for a bailiff’s warrant. You will (again) be informed of the date they will arrive to evict you from their home. Unfortunately – you cannot negotiate with the bailiff. So – the above steps detail when you have the occasion to stop repossession but – it’s up to you to take every chance possible in order to keep possession of your home. In the event that you’re finances are in such a state that you never have the chance it’s wise to look beyond the eviction (which will eventually happen) and plan ahead. Visit the Citizens Advice Bureaux, check what help and advice is available to you in your area – and make sure that you can secure at least a rental property that you can afford. If you’re about to become homeless you can apply to your local housing authority as a means of renting a home from them. This simply involves the need for you to fill out the appropriate forms – which will then allow you to become eligible to rent form them. Whatever you do – do not bury your head in the sand. You will eventually end with no home and no other form of housing. Acting at the earliest opportunity will effect a more realistic outcome. Citizens Advice Bureau – find out what your rights are, what’s available. HMCS – Court Services – fully inform yourself of how the court process works. Money Saving Expert – a great website detailing a myriad of ways to save money – plus lots of help and advice. Mortgage Rescue Scheme – government funded scheme – check to see if you’re eligible.